How Do I Register a Trademark Internationally? How Do I Register a Trademark or Service Mark Internationally? A trademark is a "brand name" for your business, containing a short phrase and (usually) a logo that sets your company apart from others. A service mark functions the same way as a trademark, for a service business. If you have created a trademark or service mark for your business, you should register that mark in the U.S. Failure to register or keep your mark registered can leave it vulnerable to appropriation by companies whose only interests are often to exploit you in your desire to get it back. If you do business internationally, you may decide it's a good idea to register your trademark or service mark through the international trademark registration service. Do I Have to Register My Trademark in Every Country Individually? Patents and trademarks are territorial and must be filed in each country where protection is sought. A U.S. patent or trademark does not afford protection in another country. That's an almost impossible task if you are doing business online. How can you possibly find out ahead of time which countries the people looking at your site come from? Having said that, though, there are ways to register your trademark internationally without having to go through the process of registering with individual countries. Am I Required to Register My Company Trademark Internationally? International registration is not a requirement. If all of your customers come from the U.S., it's probably not worth your time and money to register internationally. But if you sell online, your trademarked products or services are available--at least viewable--internationally, so international registration is a good idea. Doing business in other countries outside the U.S.means you should probably use the international trademark registration process. The international trademark registration system is called the Madrid system or Madrid Protocol. It is administered by the World Intellectual Property Organization (WIPO) located in Geneva, Switzerland. The Madrid system allows you to have a trademark protected in several countries by filing an application directly with your own member country (the U.S. is a member). The international mark registered with the U.S. is equivalent to an application or a registration of the same mark in countries you designate. The trademark office of the designated country must allow the protection of the mark. The Madrid system also simplifies management of your trademark or service mark, since changes or renewals of the registration can be recorded directly, without making those changes in each country of registration. You can also designate registrations in additional countries through the Madrid process. An international application may be filed electronically using the U. S. Trademark and Patent Office (USPTO) Trademark Electronic Application System (TEAS) for International Applications or you can use a paper form, The cost of registration through the TEAS system is $100; the cost for paper registration is $200. Madrid Protocol and international trademark registration on the U.S. Patent and Trademark Office (USPTO) website offers more information and helps walk you through the process. If you primarily do business in the European Union (EU) you might consider registering with the EU Intellectual Property Office. You can register your trademark online and the registration lasts 10 years, with indefinite renewals. They have two trademark registration processes, a regular and a "fast track," with information on both. Whether you are registering your trademark only in the U.S. or internationally as well, the guidance of an intellectual property attorney will help assure all details are attended and the path is laid smooth for your trademark. Without an attorney, you can find yourself paying a lot of money, only to have your trademark application rejected. Registration isn't protection. You must search for violators and use legal means to stop them. 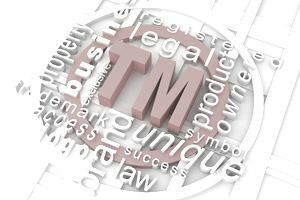 Just because you have registered your trademark, that doesn't mean you can sit back and not worry about anyone stealing it. The registration gives you the right to take someone to court for violating your trademark, but it doesn't protect you from people trying to steal your trademark. You must actively work to protect your trademark and other digital assets from being stolen. If you let others use your trademark, you are essentially giving up ownership, so you must keep on the lookout for others who might use it, and get the help of an attorney to send a cease and desist letter and other means.